Which Star Wars character could star in a live-action spin-off movie? A cry of joy was heard in the Force, when we learned that Lawrence Kasdan was going to return to Star Wars and apparently write the screenplay for the new Episode VIII (the second movie of the new trilogy.) And Simon Kinberg, we were told, was going to write the script for Episode IX. But now, we're hearing that Kasdan and Kinberg will be working on separate projects — which could turn into "Episodes" of the main saga, or just "spin-offs focusing on side characters." And Disney apparently wants its new Star Wars series, which will consist of a new movie every two to three years, to be like The Avengers — with solo spin-off movies in between the big "team-up" movies. So now we're wondering... which Star Wars character is likely to support a solo film? One obvious possibility is someone from the Original Trilogy, like a cranky old Han Solo flying around the galaxy. Or Boba Fett. But since it seems likely that this new trilogy takes place decades after the original films — especially if they do bring back Harrison Ford — it seems likelier that they'd build these new solo films around introducing younger, newer characters? So what does that leave? 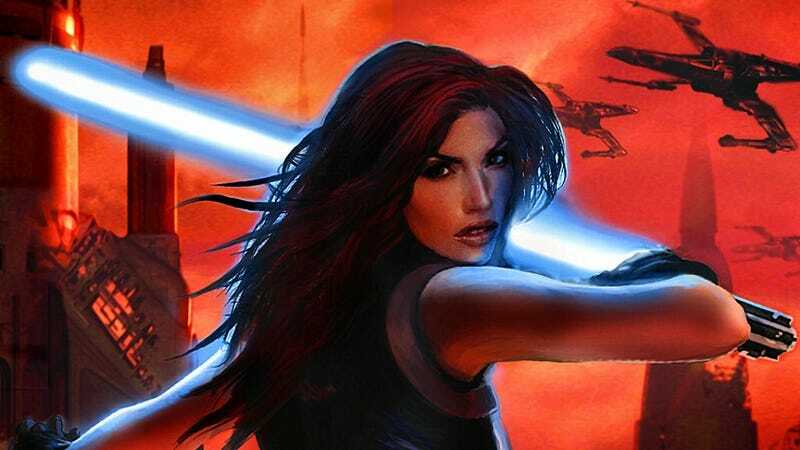 An origin story for Mara Jade Skywalker? The story of Jaina and Jacen Solo? Their younger brother Anakin? Some story about Thrawn and his battle against Nuso Esva? The story of what happened to Quinlan Vos after he quit being a Jedi? Or a story about someone completely new, who hasn't been in any of the books or comics? What character from the Expanded Universe could you imagine them structuring a solo film around?